Pressing Issues: Will the sports minister finally show her fangs? Bongani Bingwa of 702 and yours truly seemed to have woken up on the same side of the bed on Thursday morning. At the start of my drive to work, Bingwa introduced a very important subject: the performance of Banyana Banyana – the South African senior women’s football team – at the 2018 Africa Women Cup of Nations. 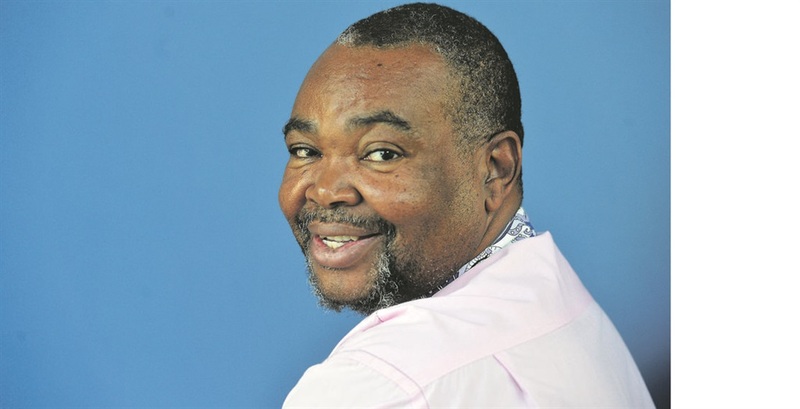 He raised the ire of many when he mentioned the discrepancies between the match fees of Banyana Banyana and their male counterparts, Bafana Bafana. He said that, according to the payment structure he had heard about, some members of the men’s team received up to R75 000 per match depending on their seniority (number of caps), while Banyana players got a meagre R5 000. He then challenged corporate South Africa to chip in and put its money where its mouth is by at least contributing towards once-off bonuses for the team for qualifying for next year’s Women’s World Cup in France. By the time I alighted at work, Rene Otto, MiWay’s CEO, had called in to pledge R100 000 towards the kitty, and she challenged other companies to match or beat MiWay’s contribution. Prior to listening to Bingwa’s breakfast show, I had been mulling over writing another opinion piece on how shabbily women’s football and sport generally is treated in this country. Some people have just woken up to this, now that Banyana have qualified for the World Cup. I was irked on Wednesday morning when I went through the daily newspapers. Only Sowetan carried a picture of Banyana on its front page, plus a lead story on the back page. This after Banyana’s 2-0 victory over Mali that put them through to yesterday’s final against Nigeria. There was nothing in the other morning newspapers. I wrote in part that “one just wishes that more companies would see the value in sponsoring women’s football. It is sad that, despite these successes, women footballers still earn far less than their underperforming male counterparts at national level. The ferocity of this week’s outcry over Banyana Banyana players’ remuneration structure made me realise and acknowledge that we South Africans are a nation of hypocrites. If the outcry and the activity on all social and other media platforms were anything to go by, you could swear that, should a Banyana international match be staged at FNB Stadium, it would be filled up. However, the reality is that they have played most of their matches at the much smaller Dobsonville and Makhulong stadiums in front of paltry crowds.
. How many sports journalists, particularly football writers, have attended Banyana Banyana matches?
. Why is Sasol still the only company supporting Banyana financially, despite the team doing so well over the years?
. How many people can tell you, off the top of their heads, which countries Banyana Banyana beat to get to this tournament?
. Before this tournament, or even before the team started winning and eventually making it to yesterday’s final, how many people could tell you, without thinking, just three names of Banyana Banyana players?
. As you are reading this column, can you tell me how many Banyana players ply their trade overseas and for which clubs? So, before we jump up and down like cats on a hot tin roof, we need to look at the four fingers pointing back at us. In the words of one John Fitzgerald Kennedy, it’s time we asked not what our country can do for us, but what we can do for our country. Let’s not support Banyana with words only, let’s prove it with action by attending their matches and making contributions where we can. Also, Banyana’s success didn’t happen in a vacuum, it was through planning and investment by Safa. The national football governing body has its faults, but let’s praise it when it does something right, just as we harshly criticise it when it fails the national sport. Like many other former Banyana players, coach Desiree Ellis and her assistant coach, Thinasonke Mbuli, have been empowered by Safa to acquire their coaching badges. Also, some of Banyana’s stars came through the academy that was established at the High Performance Centre in Pretoria a few years ago as a feeder to junior and youth national teams. The women players who have signed contracts overseas were spotted by their clubs during international friendly matches organised by the same Safa against powerful football-playing nations such as the US, Germany and Holland.